The taller the platform height, the longer the slide and higher the swings will be. 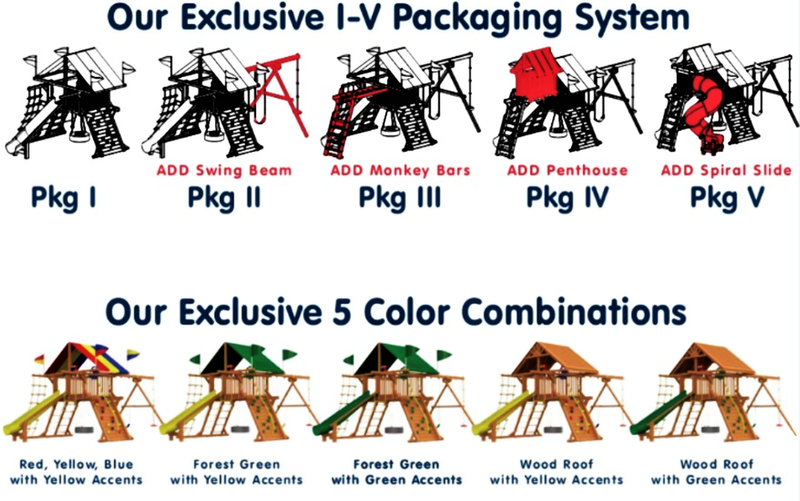 Remember, Rainbow Play Systems are designed to grow into, not out of. 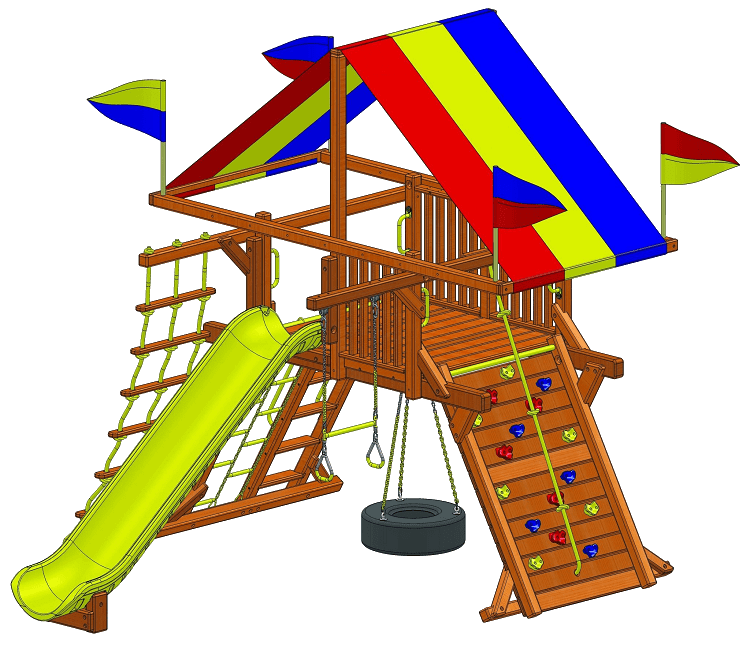 Rainbow has over 100 options, accessories and add-ons, please consult one of associates to help make your Backyard Fun!